The importance of Rachel Whiteread has been understated. I know she won the Turner prize in 1993; that in 2005 she was handed the rare honour of filling the gigantic Turbine Hall at Tate Modern; that she is represented by Larry Gagosian, the most powerful art dealer on the planet. I know all this, but still I feel she has not been given her due. 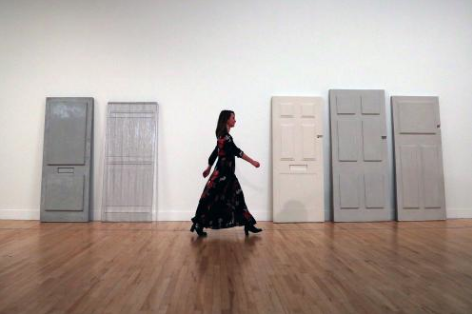 Because Whiteread changed Britain’s relationship to modern art. Let me explain. Her breakthrough came in 1993, when she created a miraculous full-size plaster cast of a Victorian semi in the East End of London that was going to be demolished. House, as the work was called, caused an immediate public kerfuffle. A twit on the local council, a Liberal Democrat called Eric Flounders, had hissy fits about it in the media — “utter rubbish”, “a little entertainment for the gallery- going classes of Hampstead” — and we art-world veterans who had seen such kerfuffles before, notably the nasty row over Carl Andre’s Bricks, expected the nation to turn on Whiteread and her House, and to call for its demolition. That was what the nation usually did. Except, in this case, it didn’t. Of course, there were plenty who sided with the floundering Flounders and viewed House in the usual British fashion — as an elitist plot aimed at taking the country for a ride. But what was far more remarkable was how many did not. Most of the 100,000 visitors who trudged to Mile End to see the sculpture had no trouble understanding it. They sensed its ambition to memorialise and remember. They felt its plucky resistance to the demolition of old London that was going on around it. House gave the nation a focus for its regrets. So the same nation that had lined up enthusiastically to give Andre’s Bricks a kicking did not do the same to Whiteread’s plaster ghost. They got it. They felt it. They loved it. And this, rather than the unveiling of Tate Modern at the start of the next millennium, was the moment Britain began to welcome modern art. I dwell on it here not just because it needs pointing out, but because it directs us towards something telling in Whiteread’s work: something it is important to be reminded of before we enter the gorgeous retrospective that has now opened at Tate Britain. 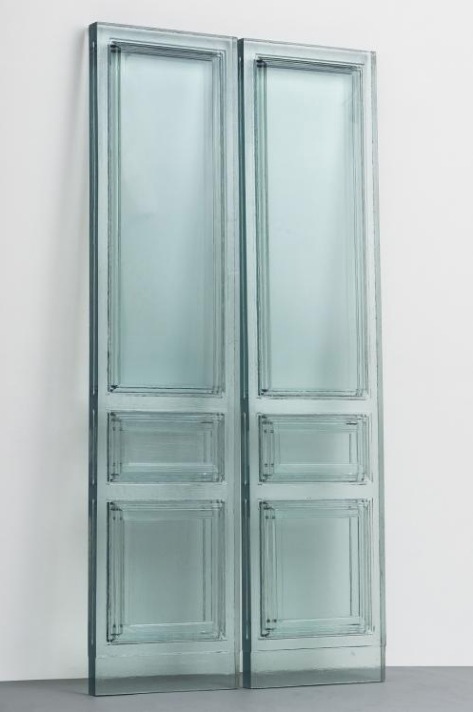 Rachel Whiteread is a softie. Her work is emotional, sentimental, lit with pathos. It speaks to the heart as much as the eyes. The first proof of this emotional potency is encountered on the lawn outside the Tate, where a new work called Chicken Shed has been sweetly placed. It’s a plaster cast of the inside of a small wooden hut: the home, I presume, of some erstwhile chickens. The first thing that strikes you is how diddy it is. And these Snow White proportions seem to trigger a protective instinct. I’ve never kept chickens; I’m a man of concrete. But even I could sense some deliberate comparison being engineered between the warm wooden presence of the little chicken hut and the looming neoclassical bulk of Tate Britain beyond. As you walk away from Whiteread’s charming monument to the unknown hen, a darker resemblance emerges. Rectangular and pointy-roofed, blank from the sides, the little shed looks like a sarcophagus in a cemetery. Once again, a mood of national loss is being memorialised. Inside Tate Britain, the huge Duveen Galleries have been filled with sculptures that strike a different note: the undersides of 100 chairs, all cast in see-through coloured resin that looks like jelly. What we are actually seeing is the space under the chairs, between the seat and the legs. And because each chair is different, each cast is different, too, distinguished by scruffy bits of detail. So, if you will allow me a moment of touchy-feely anthropomorphism, something human is also being communicated concerning the individual in the crowd. 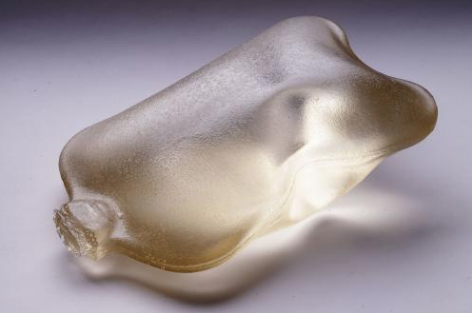 I am pretty certain the process of making jellies — or childhood memories of that process — made an authentic contribution to these enticing sculptures. Even the subtle colours Whiteread employs — the gentle Ribena pinks, the soft lime greens — feel as if they have kitchen origins. As you walk among the 100 shimmering jellies, the light refracting through them causes each chair to glow in a different exciting way. It’s a beautiful work. Finally, we reach the actual retrospective. It’s in the lofty galleries that previously housed the Hockney show. 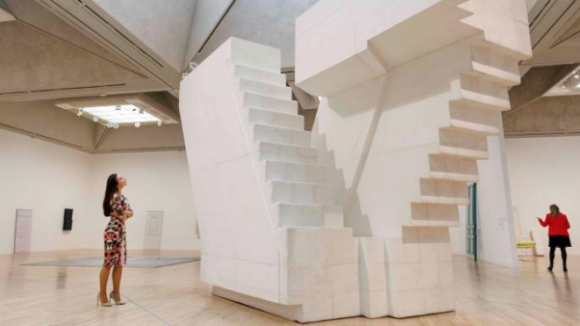 But, in a smart display move, Whiteread has removed all the partitions, revealing a huge open-plan space around which are dotted sculptures from all phases of her career. The ambition is, therefore, to send us on a see-it-all journey through her achievements and to make this retrospective unusually visceral. The first works we encounter are plaster casts from the pre-House days of her career. Ether, made in 1990, is the cast of a stained and rusty bath that speaks poignantly of working-class cleanliness. Cell, also from 1990, is the cast of a sooty fireplace, and Untitled (Square Sink) is a small domestic sink in which you couldn’t fit much washing. These fragile domestic details feel like deliberate evidence of a modest national past being saved for posterity. We are seeing the birth of a new British art movement: nostalgic minimalism. Whiteread’s inspired decision to work with plaster casts brings punchy resonances to her work. Before she started producing hers, the only casts found in art galleries were posh records of classical sculpture. By making the domestic her subject, she ennobles it, gives it grace. The casting process also brings a sense of ghostliness. Once the simple pleasures of recognition start to fade, complex questions begin to emerge about the nature of reality. At the centre of the display is a selection of plaster giants — an entire monumental staircase, the enormous inside of a room — which, even with the partitions down, feel a tad cramped under the blocky roof. What you do get from them is an atmosphere of commemoration. White and looming, plain and undecorated, they have a haunting blankness that makes them brothers-in-arms with war monuments such as the Cenotaph. All this, superb though it is, is what we would have expected: classic Whiteread. The big surprise is how delightful her work becomes in later years: the stuff Gagosian sold so briskly, we never got to see it. Attached to the walls are some slabs of housing made of papier-mâché — windows, eaves — that reward a closer inspection with lovely patterns of splattered colour. Indeed, her sensitivity as a colourist is the show’s revelation. Earlier in the display, in her grubby domestic phase, she chooses a perfect glowing orange to endow a discarded mattress with the mysterious beauty of amber. At the other end of her timescale, recently she has been making a sequence of fabulous see- through doors, as translucent as Glacier Mints, tinged with delicious assortments of pastel colours, simultaneously ghostly and tasty. Bake Off meets Carl Andre. How British. How marvellous.